Happy Friday! 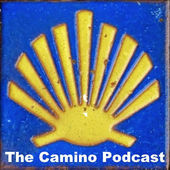 In January I wrote a post about The Camino Podcast, by Dave Whitson, which had just launched in December 2015. Back then these podcasts were only on SoundCloud and iTunes. There wasn’t a web presence so it was not easy to find or link to an archive of episodes. 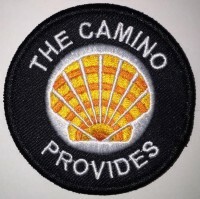 I am so happy to see that Dave now has a Facebook page for the Camino Podcast that you follow to see past episodes and be notified when new episodes are available. Dave does a great job introducing the guests, asking them good questions, and providing his own perspective. I was excited when I heard the voices of some of my friends and guest bloggers. So someone asked me what the differences were between the two routes I’ve walked. Now I won’t say one is better than the other or which I preferred. It would simple be an impossible exercise. Apples and oranges and all that, and the camino is so much more than walking a route and the landscape you encounter along the way. It is the people, the conversations, the jokes, blisters and much more. Happy Friday! I’ve enjoyed this blog for the last few months now, so it’s about time that Camino Times Two is featured on my Favorite Camino Blogs page. Beth Jusino’s latest post caught my eye with the play on shadows. TGIF! Meet Bandito the pug and Luigi the cat, the social media sensations who walked (and strolled) the 497 mile long trail Camino de Santiago for six weeks with their owners Sebastian and Finn. I’m happy and honored to feature a guest post by a German woman I met while walking the Camino Portugués. I caught up to Yvonne as we walked alongside a vineyard about halfway between Pontevedra and Caldas de Reis, and we started chatting. Not only did we walk at the same pace, but we also used similar trekking poles and hiking clothes—the uniform of a savvy peregrina. As we got to talking at a deeper level, we were amazed by our commonalities: we’re exactly the same age and at similar stages in life; she’s been working in the same profession for about twenty years and is wondering what else life has in store for her; and we both have taken to writing about the Camino over the last year. 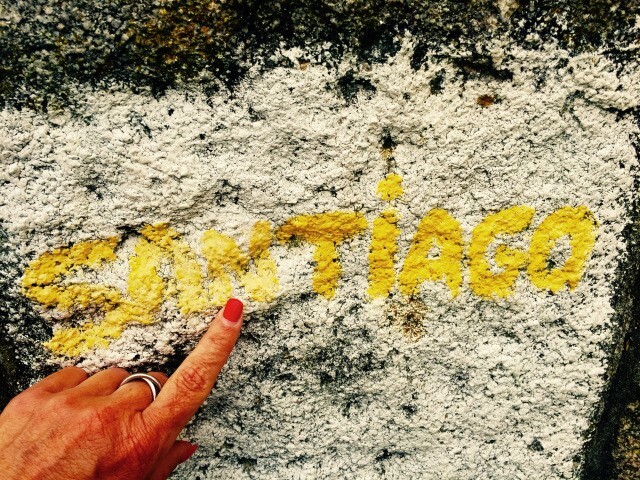 (She authors a beautiful blog about her Camino entitled Mein Camino.) I think I found my German doppelgänger! We exchanged contact information and parted company in Caldas de Reis. When Yvonne returned home to Germany, she wrote the following post about what the Camino provides for her. There’s even a German translation below! 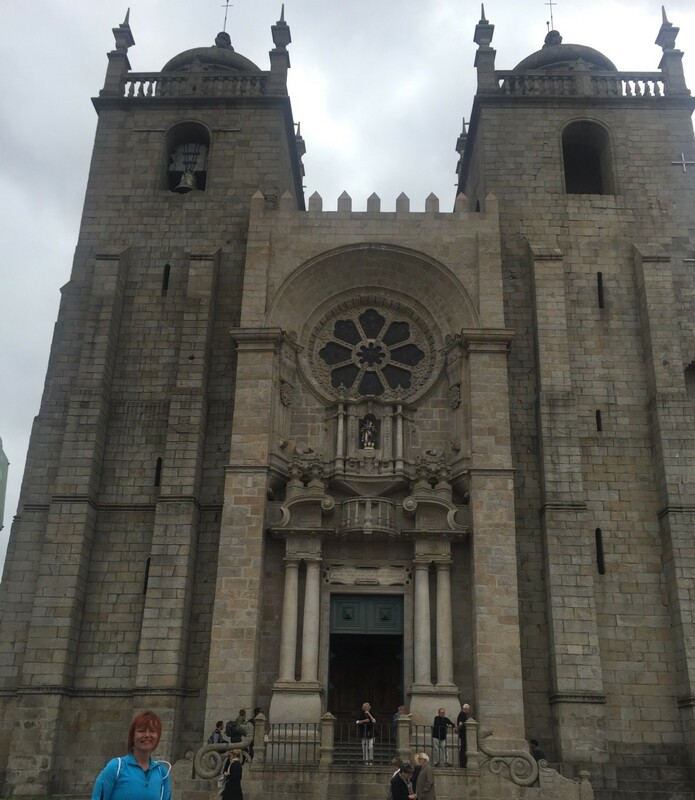 Sitting on the Porto Cathedral steps, I reminisce about the past three weeks—feeling happiness and sadness, pride and humility. With the late afternoon sun shining on my face, I think about what the Camino has provided for me. On May 16, I took my first steps from this very point on the road to Santiago de Compostela, feeling the mysticism of the path from the very first yellow arrow. It is the encounters with people that make the Camino so unique. Thanks to an intensive exchange of pilgrims from around the world, one easily finds peace. All nations are united by a single goal: reaching Santiago de Compostela. Here’s some inspiration with stunning photos of the Camino Francés for #FridayFaves. 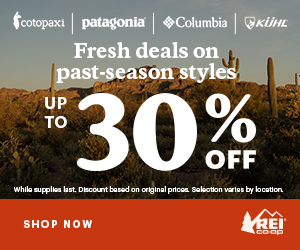 Drew’s blog, Trail to Peak, has a lot of great info on hiking gear and ideas for training hikes as well. I hope the Camino beckons Drew back someday. I would love to see his perspective on the Camino del Norte. 24 Photos That Will Make You Want To Walk Camino de Santiago has been added to my Favorite Camino Blogs page. Camino de Santiago is a 500 mile pilgrimage across Spain. I walked “The Way” in 2012, and it has thus far been the most transformative travel experience of my life. I’m starting to see a lot blogs with pilgrims documenting their trips to Santiago de Compostella this summer, which allows me to relive my time in Spain vicariously. My uncle Jim is walking to Santiago, too! Although, he is not blogging about it. Every summer, I start to think back on my journey, and the many lessons it taught me. Every photo I took tells a story, and captures a moment in time that made me the person I am today. Here are 23 photo moments from my journey to Santiago. 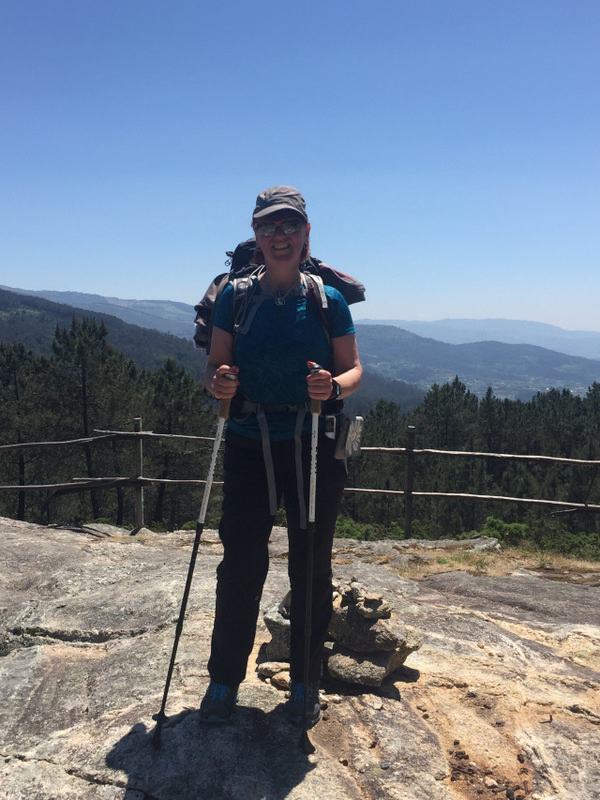 Hats off to Gayle from Australia for documenting her Camino Portugués on her blog Gayle Takes A Hike. I walked through many of the same places she did, and when I saw this Stop sign in particular, it brought a smile to my face. Gayle (pictured center) at the same sign I saw on my longest day of walking, from Padrón to Santiago. Happy Friday! I have a new recommendation to add to the list of favorite Camino blogs. Stephany is on the Camino Francés now, and is capturing its essence through photos a daily reflections on the gifts of the Camino on her blog, caminogifts.wordpress.com.